At this point I must add that this is the first campaign I’m running with Dungeon World so it is all new territory for me. I created the first Front right after our first session as I was quite sure that the Spider’s Cult would be a major player in the campaign. The second Front was created as a kind of an additional sidetrack that could be ran in a single session. As I’m sure all have already guessed – that didn’t happen. The party ventured forth and moved away from the influence zone of the Spider Goddess. That was fine by me and I introduced the Iron Spike to for a quick oneshot. Aaaand naturally we have been at the Necromancer’s Tower for three sessions now. While GMing roleplaying games I have grown accustomed to the fact that plans have to change. Usually without any time to think things through. So I had no problem of making the Necromancer the main threat and the Spider Goddess a secondary one (and burying the main Threat for the whole campaign for a while…). This did however prove to be a little problematic when I tried to follow the rules. I have already shown spiders acting up strangely (portent1), spiders following their moves (portent2), spiders attacking them (portent3), goddess’s envoy attacking the party (portent4). This means that I need to up my ante for this Front or it escalates and resolves during the next session. I really do not need that. Mainly because the second Threat already went sideways (considering the party). As Apocalypse World (and thus Dungeon World) games are “finding out what happens” I have no problem with this per se. I’m willing to send the Spider Goddess to attack the party now that they are down (the druid died a hilarious death during last session). But I also need to turn the impending doom from the Necromancer’s threat into a new one. Without much thinking (or spoilers for Aki) it is quite apparent that there is going to be a Plague of Undead (Hordes) in my campaign sheet from now on. A) The first threat sucked from the beginning. It was the least interesting of my ideas and I could have just used it to fill in some possible gaps in the story. I need to either reconsider it or abandon it (for now). B) You should not be afraid of meeting the Impending Doom. If the players do not do something to prevent them from happening you can get a new interesting Front in exchange. Fronts are not necessarily there “to be solved”. They just are. All in all I think I have learned a lot from this campaign I hope I can use this to make the game even better. 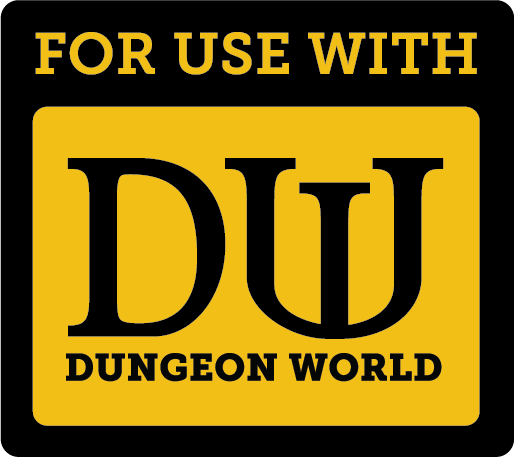 This entry was posted in Dungeon World, Roleplaying Games and tagged Apocalypse World, Dungeon World, GMing, players, swarm, Sylvan World by Lauri Maijala. Bookmark the permalink.